Thank you to Athleta for sponsoring this post! The kids are back to school and the Fall soccer season is now in full swing. All three of my kids have played soccer for at least a season or two but it has truly become Lulu's passion. When she was 3 and 4 she bounced around from dance class to dance class not really loving it. 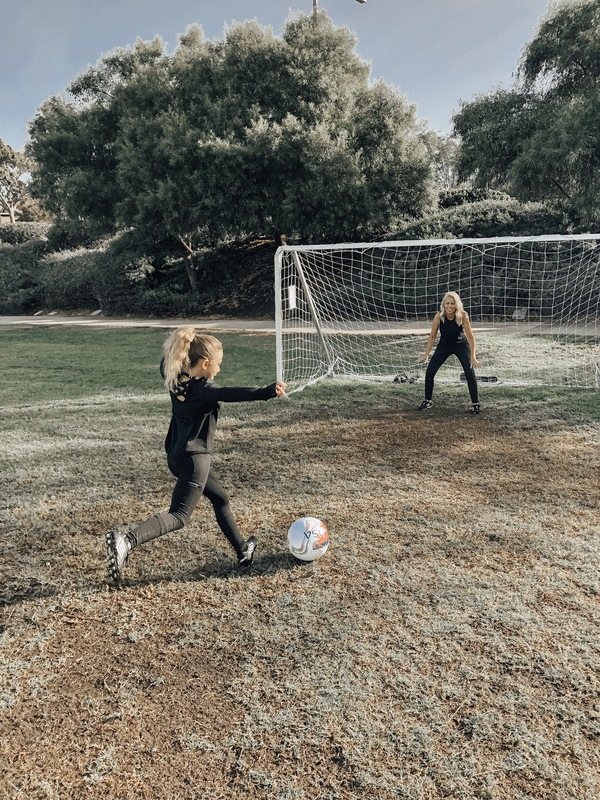 Once I enrolled her in soccer everything changed. This is her 6th season of playing soccer and I love what a leader she has become for her team. She not only gives 110% to every practice and game but she loves cheering on and encouraging her team mates. As a mother I believe it's not only important to encourage an active lifestyle but do it as a family. We try to attend all the kids practices and games together where we can spend quality time outside being active. I not only love the great quality product at Athleta but everything that they stand for. The brand supports female empowerment and inspires women and girls to reach their endless potential. Lulu and I were both looking for athletic wear that was not only comfortable and versatile but stylish. 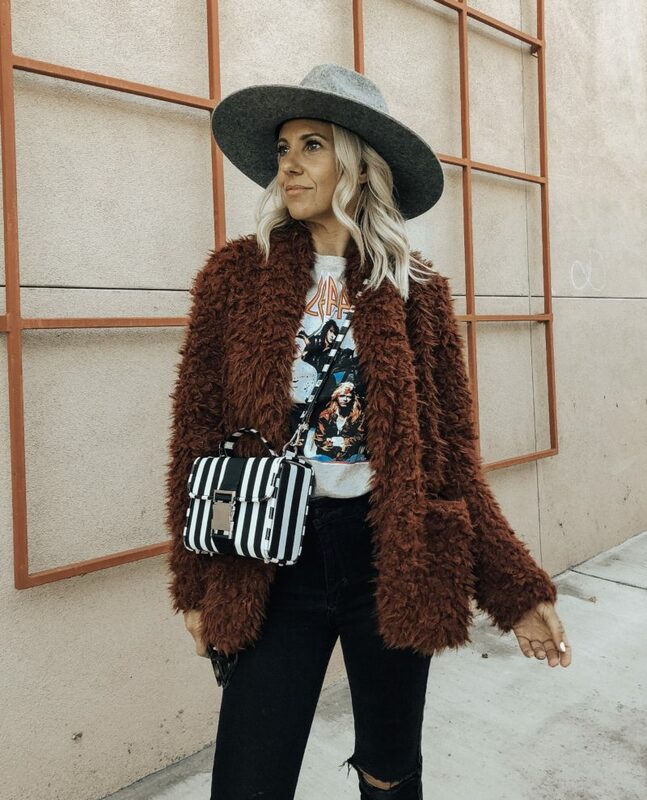 For this look we opted for the classic black tights with pockets and of course decided to be matching. 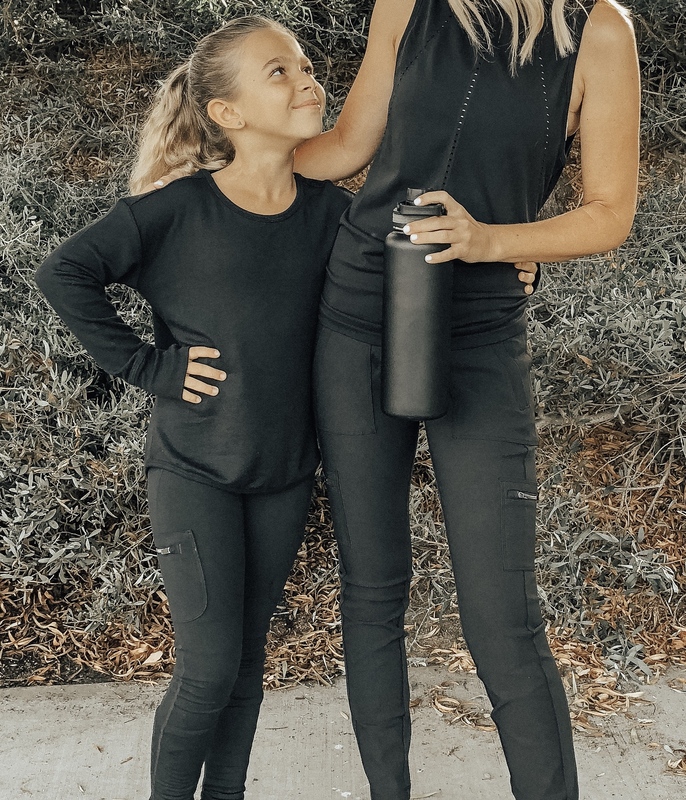 If you check out the Athleta website you will find a whole section of mommy and me looks for the Athleta girl and her mom. Lulu also picked out a color block pair of tights that she can mix and match with her cozy top. Best part for me is they come with pockets so I can hold on to my keys and cell phone while still being active. You can shop their tights HERE. With Athleta Girl we are ready to take on the new school year and a new soccer season. And I can't wait to cheer her on every step of the way!